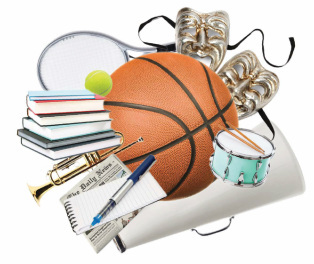 Sports & Arts in Schools Foundation (SASF) at 144 has designed it's after-school extra curricular program to meet students’ individualized needs. The programs available enrich the lives of students by providing diverse, high-quality sports, arts, character development and academic assistance. 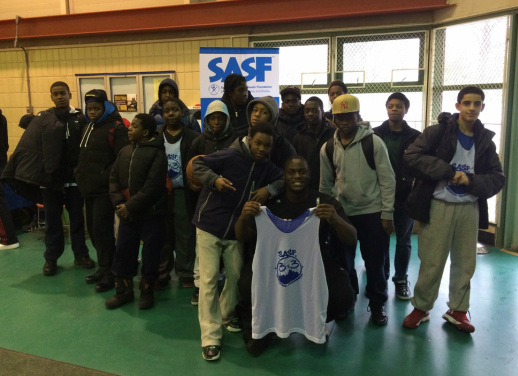 SASF's MISSION: "To help bridge the academic performance gap among under-achieving students by extending the school day and year with wholesome, skill-building activities designed to improve New York City children’s academic performance, health and wellness, attitude towards school, self-confidence, character and values, and opportunity for lifelong employment." 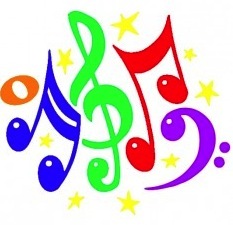 Glee Club (Ms. Pimentel): Students learn different vocal styles from all genres and share their talents with the community. For the past 3 years, the glee club has spread their joy by visiting the Kings Harbor nursing home to entertain our community members. 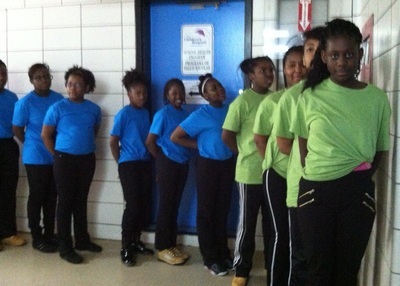 Step Team ﻿(Ms. Acensio):﻿ Students learn about creating a rhythm or beat with their hands and feet. They will have the opportunity to dance in competitions and in the school's spring showcase; servicing all grades. 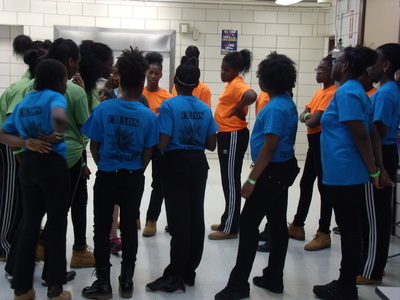 Dance Team (Ms. Tomlinson): Students will be competing in urban hip-hop dance competitions around the Bronx, will perform in our school's spring showcase, and share their talents at the local nursing home; servicing all grades. 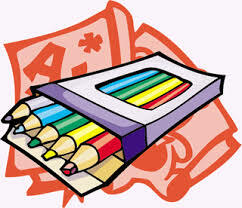 Arts & Crafts (Ms. Hansen & Ms. Fitzpatrick): Our visual and kinesthetic learners will be creating seasonal school projects to express their creativity and imagination through art; servicing all grades. Soccer: (Spring league) Students will develop team-building skills and showcase their athletic abilities by actively engaging in the sport of soccer; servicing all grades. Flag Football (Mr. Perez): (Fall/Spring league) Teaches students the fundamentals of non-tackle football and sportsmanship in a fun and safe manner; servicing all grades. Michelangelo's Drama Club gives students in grades 6-8 an opportunity to participate in supervised, creative dramatic activities while working towards a final production in the spring. 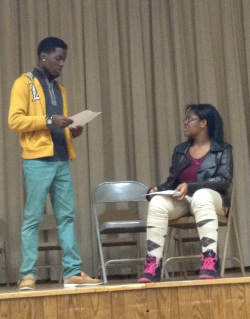 Students will be exposed to different aspects of theater including: acting, impromptu skits, vocal music, dance, play production, costume design, set design, props and tech crew. The club will work on creative thinking skills, encourage teamwork, and provide students with enriched learning experiences in the area of performing arts. In the 2012- 2013 school year, the performing arts cast and crew at 144 put on a fabulous performance of the musical classic, Mame﻿! In the 2011- 2012 school year, JHS 144's performing arts team presented our community with the exciting production of Bye Bye Birdie! Students celebrating a successful tournamet at the 3-on-3 Riverbank games. Students have the opportunity to participate in various 3-on-3 basketball tournaments at the school and throughout the Bronx. Students are able to experience the thrill of working together and competing recreationally against various students of the same age. According to JV Basketball star, Chyna Bryant, 3-on-3 basketball is more exciting than a standard basketball game because "there are less people playing which means more shots to take, and more glory to flash!" 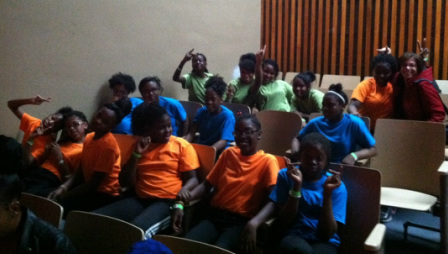 The excited girls in the audience watching the other teams perform! 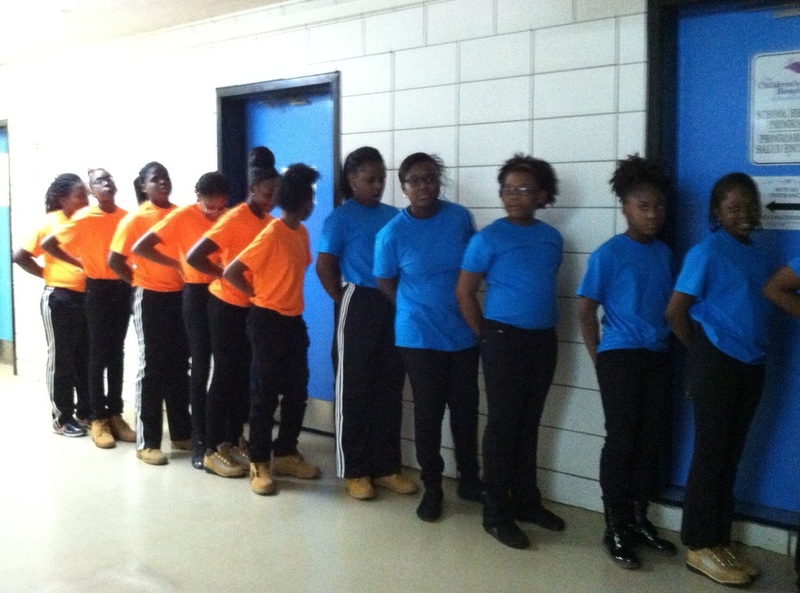 Congratulations to the step team, CHAOS, on winning 3rd place in their first competition ever!!! The team has earned a chance to compete at Georgia Tech University in June! Opportunities to help the team earn money for costumes and travel expenses will be posted within the next few weeks! 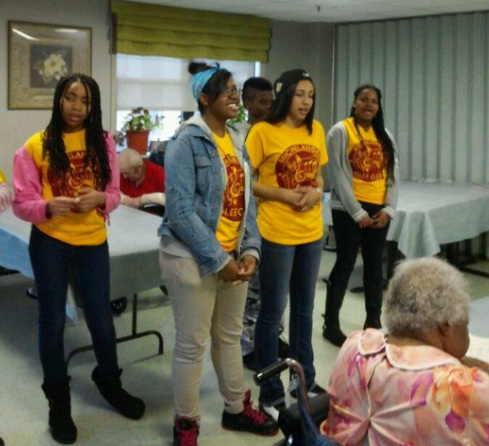 The JHS 144 Glee Club goes out and brings joy to King's Harbor Nursing Home every Friday.